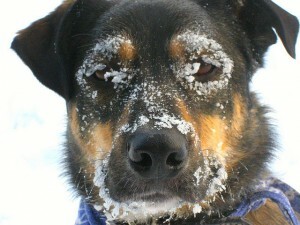 You are currently browsing the The Pet Product Guru blog archives for January, 2012. Does your small dog “rule the roost?” Does she jump up on you when you come home from work, bite at your sleeves, snap at you when you try to trim her nails? Does she bark and growl at strangers? Your pet thinks she’s in charge. Your cute little dog thinks that she’s the boss. Dog owners often let small dogs get away with things that they would never tolerate in a large dog. They let them sleep in their beds, beg for treats, jump into their laps and more. You should refuse to tolerate her bad behavior. Be calm, but insist on good manners, be patient and consistent and watch that small dog syndrome disappear. A dog park should be an open, neutral territory where your dog can play and run around off of his leash. He can get lots of exercise and play with other dogs that are well behaved. For your best friend, it’s a change of pace and a welcome change of scene. In order for this to work, owners need to follow park rules and keep a close eye on their pets. Unfortunately, this doesn’t always happen. In the worst case scenario, owners bring dogs that are not well socialized nor well behaved and then they’ll leave them unsupervised. Fights can break out and dogs can get badly hurt. A dog park can be a positive experience for you and your dog if the people who used them had everyone’s best interest at heart. Walking is “hard wired” into a dog’s brain. When dogs were in the wild, they walked to form a pack, hunted for food and followed the decisions of the pack leader. The top dog is called the alpha dog, it takes charge and leads the way. By following a similar ritual with your dog, you can establish and maintain your position as the leader of your small pack. In order to accomplish this effectively, you have to assert yourself as a calm leader and ask your dog to follow. You must also keep him safe at all times, in order to maintain his trust. 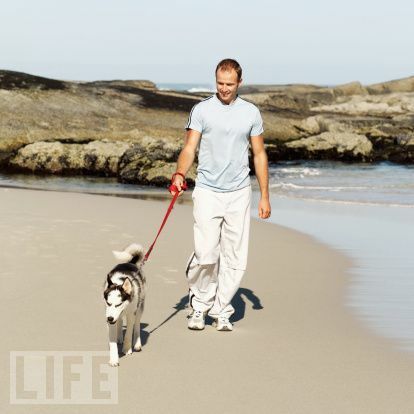 By taking daily walks with your dog, you’ll stimulate his natural instinct to get out side and get moving. You’ll also make him go safe and secure and form a strong and loving bond as well as provide, good, healthy exercise. 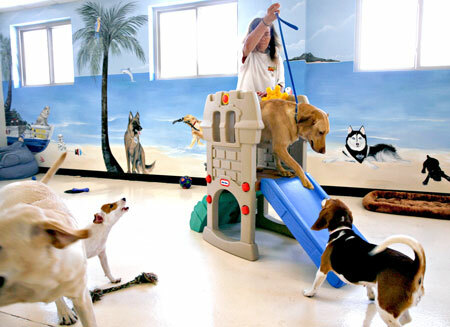 When choosing a doggie day care, take as much time and care as you would if you were choosing a day care center for your child. Call and ask questions like “what services does the daycare provide.” How much do they cost? Is there a certified dog trainer on hand at all times? What kind of training do staff members have? Your dog will be screened for behavior so be sure and ask about that process. Find out about the staff to dog ratio. There should be no more than 10 to 15 dogs for each staff member. How many people are on duty? In case of an emergency, there should be at least two at all times. Make sure that you pay the a visit before you sign up. Is the facility clean? Do the dogs have ample room to play? If you do the research ahead of time you’ll find the right daycare for your dog and also avoid lots of problems. Does your cat appear to be a little grumpy lately? 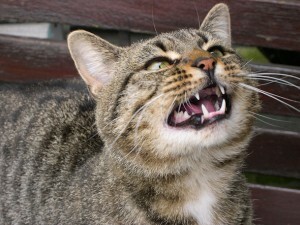 You could be causing your cats behavior. Your cats body language could be telling you that something is upsetting him. One pet peeve of cats is dirty kitty litter. Does his letter smell like a portable toilet? Cats hate dirty, stinky litter boxes. They may even be driven to seek a substitute toilet. It could be the carpet or even your bed! The solution, make sure that you keep your kitty’s litter clean. Scoop every day and change the entire litter once a week. I’m sure that your cat will appreciate you for it! If you’re feeding your dog a high quality dog food, and if he looks fit with bright eyes and a shiny coat, he’s probably getting all the nutrients he needs but there are times when vitamin and mineral supplements are a good idea. For instance, if you’re feeding your dog a homemade diet, he probably needs more vitamins and minerals than he’s now getting. If your dog gets stressed our or if he’s getting older, he may also require nutritional support. If your dog just had pups, consider extra vitamins and minerals. Before adding supplements to your pets diet, make sure you consult your veterinarian. Too many vitamins and minerals can be dangerous. There are several expensive cat breeds but the ones that are the most expensive to adopt is the Bengal cat and the Savannah Cat. The Bengal cat has short hair and are a hybrid from the domestic feline and an Asian Leopard Cat. Most of the time, this cat is fairly active so make sure that you provide plenty of cat toys. They also enjoy being around people which makes them a great house cat. 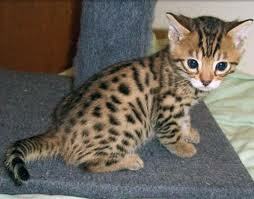 The price tag of Bengal cat ranges from hundreds to thousands of dollars. 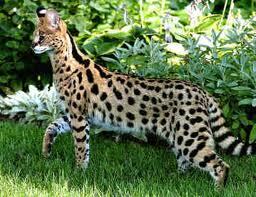 The Savannah cat is a medium size cat. 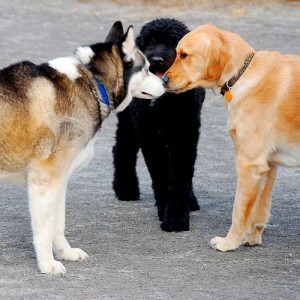 These breeds are loyal, social and love to play. Savannah cats can cost as much as $20,000. 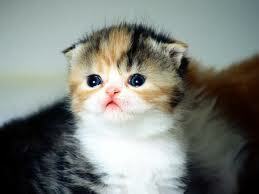 The Scottish Fold is a spoiled cat and often meows a lot to get attention. It comes from a natural gene mutated breed and has “foldable” ears. The price of these cats range from a few hundred to a few thousand dollars. 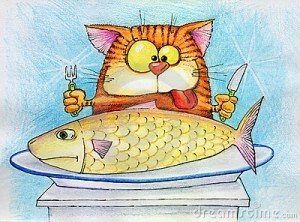 We all know that fatty foods taste good even to a fussy cat. If a cat has a diet that is too high in fat, he could gain weight and become obese. This doesn’t mean that you shouldn’t feed any fats to your cat. 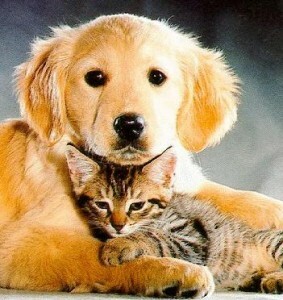 In fact, fats are a very important part of your pets diet. Fats give your cat the energy he needs throughout the day. They also help keep his coat soft and shiny. Fats also help your cat’s body absorb important vitamins like vitamins A,D,E and K. Check the label on your cat’s food. By law, it has to state the fat content. 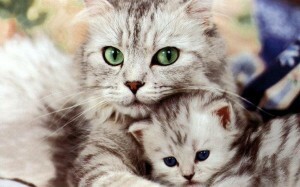 Talk to your veterinarian to determine what fat content is best for your cat’s age, health and overall activity level. As we know, there is a very large variety of cat food available. Wet food, dry food, semi moist, beef, chicken and seafood are only some of choices. There are several combinations of seafood alone. These range from shrimp to crab and fish. Fish includes several species, usually salmon, cod, yellow fish, white fish and tuna. So as a cat owner, how do you choose? If you read the guarantee analysis on the labels, you’ll notice that even though the ingredients vary between the flavors offered, within one brand, the percentage of proteins and other key elements will be somewhat consistent. So find what what your cat likes best and serve it to her with lots of love! Falling through the ice or even just standing in cold water on a windy day can make your dog’s temperate plummet. If he’s shivering, he’s loosing essential body heat and there is a possibility that hypothermia will set in. He needs to be dried off and warmed up fast. If your dog is small, wrap him inside your coat and carry him home. If he’s a big dog, get him out of the wind as quickly as possible. Dry him off with a towel and wrap him in a warm blanket and rub him down to get the blood flowing. If he’s shivering, that’s actually a good sign. Hurry home and use whatever you can find, this includes hot water bottles, heat lamps if you own any. If not, a heating pad will help bring his temperature back to normal which is 103 to 105 degrees F.